Aerospace | Judd Wire Inc.
Judd Wire’s Aerospace wiring is currently used in a wide range of commercial and military airframes, avionics, satellites, missile guidance systems, fly-by cables, in-flight communication and entertainment cables, and military electronics ground equipment. Judd Wire is approved for installation in the world’s largest transports built by the Boeing Commercial Airplane Group, and numerous other military and OEM programs. Judd Wire is an integrated designer, manufacturer, and test facility for Aerospace wire and cable. We work to create a combination of design choices for our customers that allow them the best choice of materials and performance attributes for their unique applications. Our products include both military and commercial airframe wiring, lightweight avionics wiring, data bus cables, non-halogenated jacketed cables for In Flight Entertainment systems, Fly By Wire flight control cables, reduced diameter cables for satellites, and custom cables for military ground equipment and missiles. Engineering expertise in the design of unique aerospace products has made Judd Wire a leading supplier to the newest aircraft platforms being built today. Our engineers work in team cells to utilize the most effective choices among materials, designs, manufacturing processes, and test verifications. 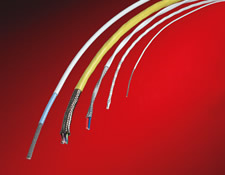 Product designs from simple discrete wire to complex cable carry with them the same involvement of engineering expertise and dedication to precise design elements. Product engineers utilize an on-line design system to tie together customer specifications into our design efforts from the manufacturing process through the Quality Assurance documentation. Give Judd Wire the opportunity to enhance the design of your requirements.